No place celebrates Chinese New Year with as much ardor, glamor, and flavor as Hong Kong. It is one of the country’s biggest and most colorful festivals so much so that for nothing shy of a week, a buoyant mood envelopes the city as the locals engage in merrymaking and a variety of festive events such as a headline-worthy night parade, signature fireworks display, fragrant flower markets, temple visits, and the ever-popular horse races. FESTIVE FLOWERS. 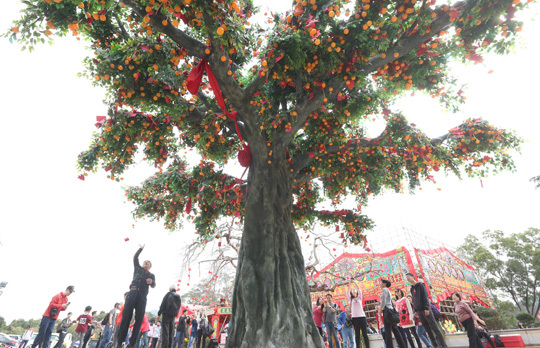 Hong Kong invites Chinese New Year revelers to welcome and celebrate the Year of the Earth Pig by witnessing the dazzling fireworks display as well as by participating in a number of fun events and activities. 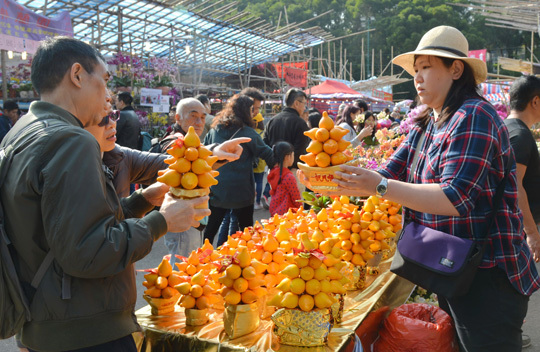 To fully experience this joyous occasion, it is ideal to spend at least 72 hours in Hong Kong; a day before the country welcomes the new year and all its promises until a day or two more after. Arrive in Hong Kong before the Year of the Dog ends to go to one of the convivial flower markets in the city, where locals shop for seasonal flowers and plants that symbolize different well wishes, such as cherry blossoms that are believed to improve personal—particularly romantic—relationships, and water bamboos which are said to bring wealth. Find also at the fairs creative products and delicacies that truly reflect the unique local culture. 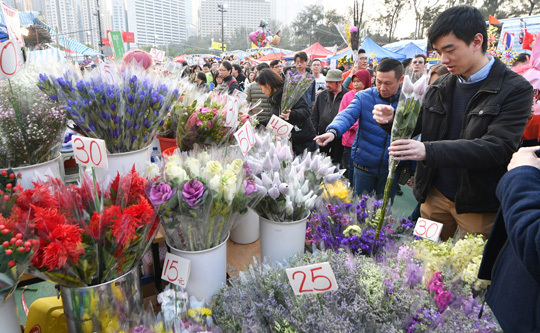 For a full-fledged experience, visit Victoria Park or Fa Hui Park, two of the biggest and most popular flower markets which are packed with people in the evening. Many locals hike on the first day of Chinese New Year as climbing uphill signifies progress in life. The perfect place to go for such a walk is Lantau Island, home to the world’s tallest sitting Buddha statue built outdoor. Start the spiritual journey by taking the cable car from Tung Chung to marvel at views of lush green and the sea along the way. Stop at Ngong Ping Village to visit the “Good Luck Garden,” before sampling Chinese vegetarian dishes at Po Lin Monastery. 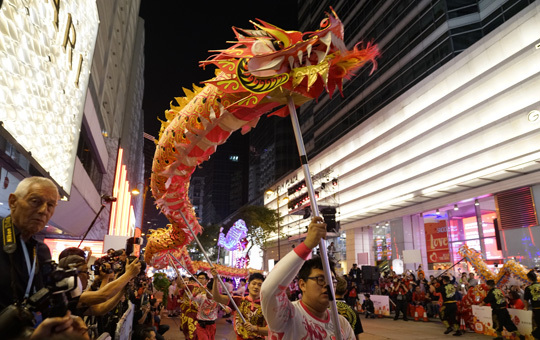 Head over to Tsim Sha Tsui early to secure a spot for viewing the Cathay Pacific International Chinese New Year Night Parade (from 8:00 p.m. to 9:45 p.m.), a signature event that began in 1996. As the evening approaches, roving performers begin to emerge along the parade route starting at 6:00 p.m., before dazzling floats including those by Hong Kong Disneyland and Ocean Park Hong Kong as well as ebullient dancers, acrobats, and other performers from around the world take over the major roads and fill the district with joyful commotion. 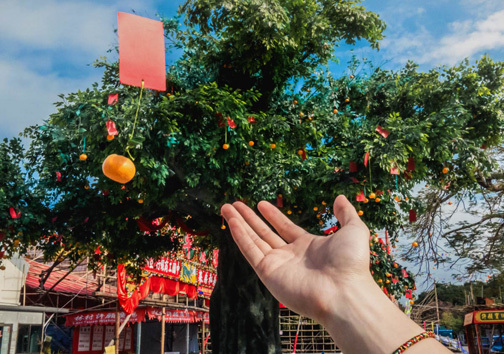 Venture to the New Territories for some morning fresh air and try placard throwing at the Hong Kong Well-wishing Festival in Lam Tsuen, Tai Po. Initially a tradition of the village, it gradually attracted people from across the city. Firework, or literally “smoke flower” in Cantonese, is an integral part of festive celebrations in Hong Kong. 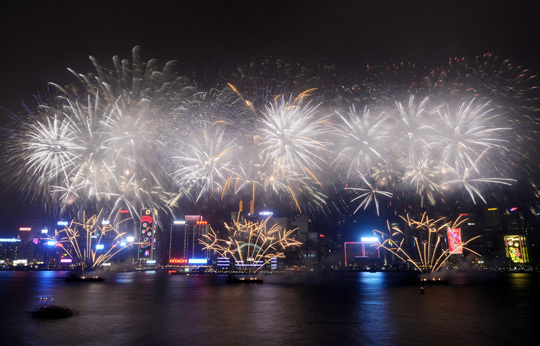 For many years running, a fireworks display is staged above Victoria Harbour on the second day of Chinese New Year. 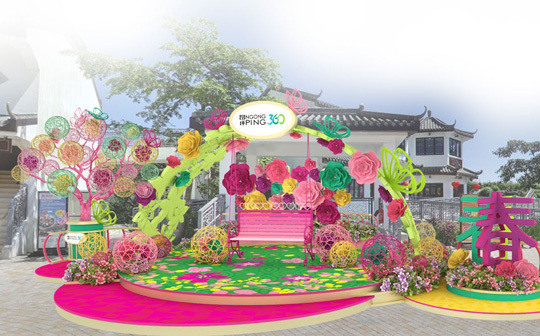 The almost 30-minute spectacle is best viewed for free along the harbor front in Tsim Sha Tsui, the Golden Bauhinia Square in Wan Chai, or IFC in Central. It is also a good idea to enjoy dinner at the same time at restaurants overlooking the harbor. 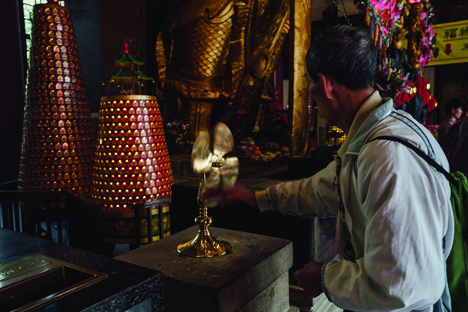 Paying respect to the deities is a customary practice among the locals, especially the older generation. For a glimpse into this tradition, visit Che Kung Temple in Tai Wai, which attracts crowds of avid worshippers every year around this time. Try Kau Chim or fortune stick drawing, to see what fortune awaits in the Year of the Pig. 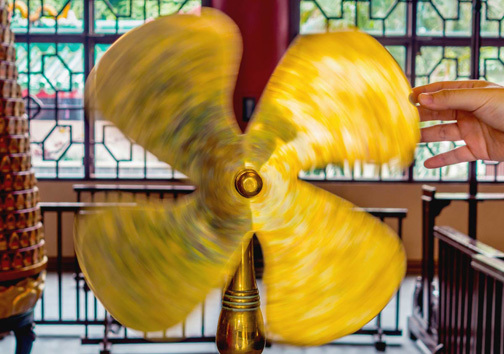 Remember to spin the temple’s famous copper windmill clockwise to summon good luck in the new year. From Che Kung Temple, take the MTR East Rail Line to arrive at the Sha Tin Racecourse for the Chinese New Year Race Day. 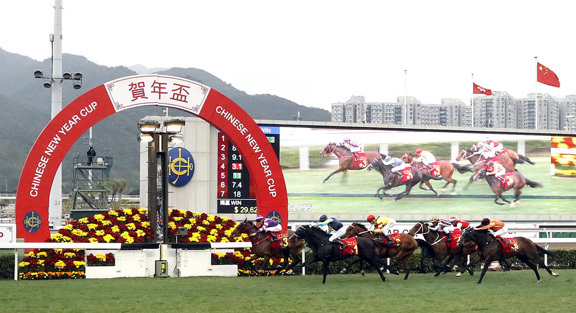 The special races, which are the first in the Year of the Pig, provide the perfect opportunity for visitors to experience horse racing, a hugely popular activity in Hong Kong. Visitors can also take a detour to Mainland China, which is conveniently connected with Hong Kong by coach, by train, by air, and by sea. The recently opened Hong Kong-Zhuhai-Macao Bridge and Hong Kong section of the Guangzhou-Shenzhen-Hong Kong Express Rail Link make it even easier to explore this neighboring destination.